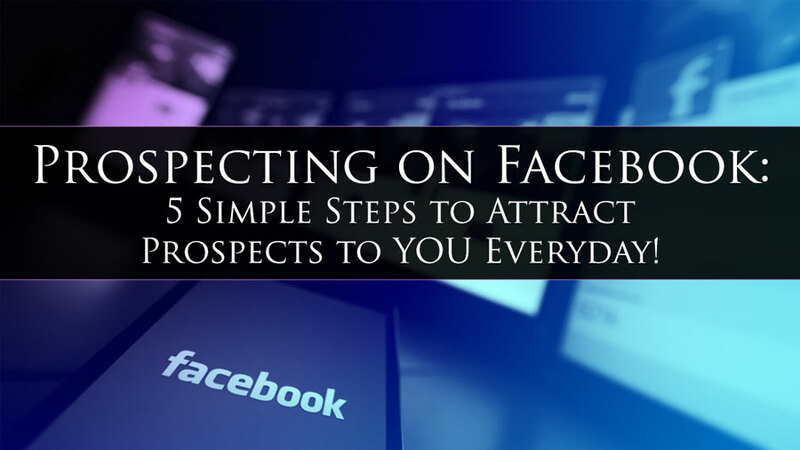 Home » Internet Marketing » Prospecting on Facebook: 5 Simple Steps to Attract Prospects to YOU Everyday! Are you ready to get started prospecting on Facebook to attract people to you and grow your business by leaps and bounds? Facebook is a massive pool of potential customers and clients that cannot be ignored. 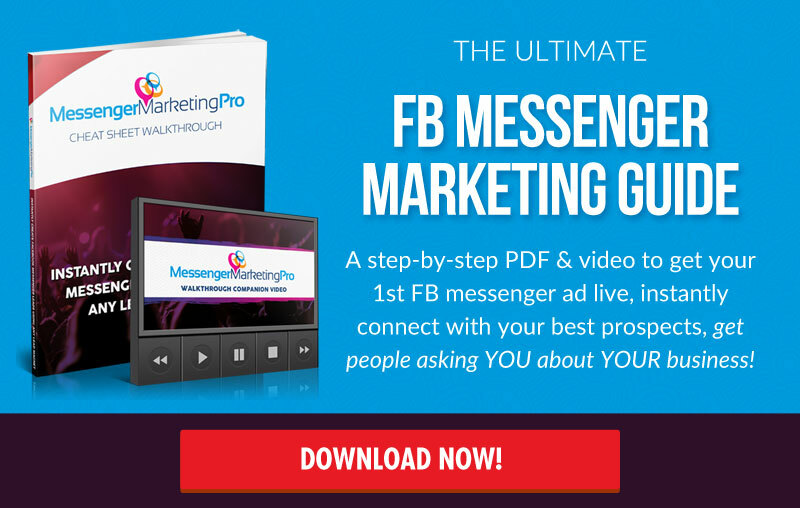 If you've been prospecting on Facebook already, and not having the results you were hoping for, then you'll want to read every word of this article. You'll find out how to start getting people to send YOU friend requests and messages to your inbox. These will be people who are interested in YOU. Your brand. People who want to connect and get to know you more. Very strong and highly qualified prospects for your products, services or opportunity. And it can start happening as soon as today. You just need to do a few things right and we're going to spell those out for you right now. 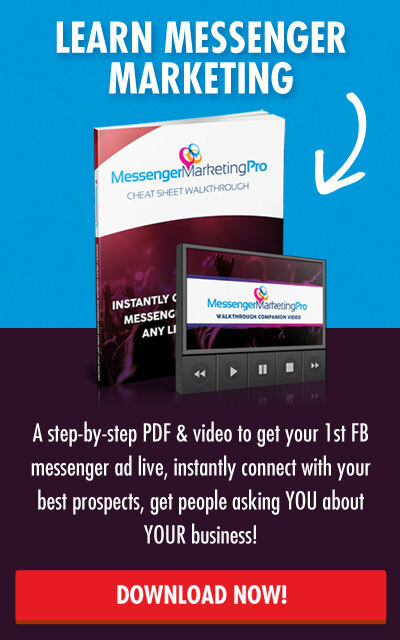 Why Getting Prospects on Facebook Coming to You Is Easier Than You Think! Many people make it much more difficult than necessary when trying to prospect on Facebook. Here at MLSP we live in a world of Attraction Marketing. Which means we want to get leads coming to us. Not us going to them. It simply takes getting a few things right, making yourself attractive to your prospects, and grabbing their attention with a simple shoulder tap... Causing them to magically request to be YOUR friend. You'll see that the follow up can be simple and effortless as well. So you can relax, throw away your scripts, and finally find out how to be yourself online and still skyrocket your home business. 5 Steps to Fill Your Facebook Account With Hot Prospects Everyday! Step #1: Who Are You? If you're surprised that we're focusing on YOU right now, instead of your prospect's “avatar”, then this might be where you've been going wrong all along. It can be confusing. When it comes to sales and recruiting, we constantly hear how we need to put all of the focus on the prospect's wants, needs, and desires... and take ourselves out of the equation. And that's true when it comes time to close a sale, or recruit someone into your business. However when it comes to attracting people to you on social media, things are a bit different. YOU matter, and in a big way. What MESSAGE do you want to deliver to your audience? What are some of your talents...things you're naturally good at? What excites you and can easily take you down the rabbit hole find more info? What could you talk about endlessly without ever getting tired of it? 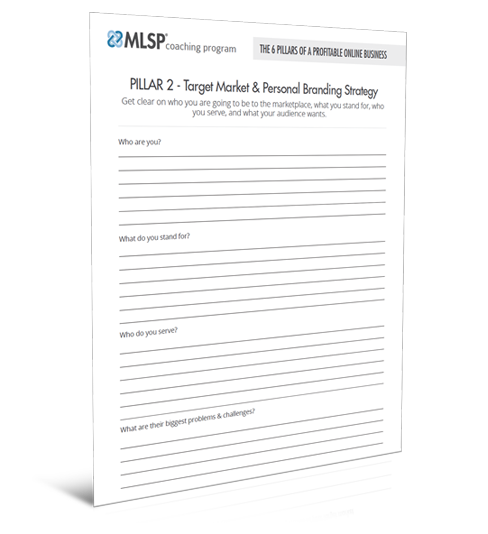 To help you get clear on your who you are, we have made available to you an insert from our MLSP Mentorship 6 Pillars of a Profitable Online Business document. 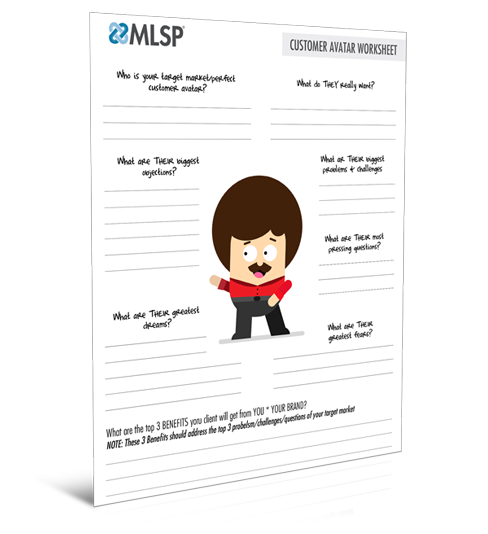 You can get the PDF below – be sure to print it out and COMPLETE it to help you with your vision. You might feel like the exercise above is all about YOU! But actually, it's about WHO you're going to attract. We always talk about how important it is to brand YOU. Not your products. Not your opportunity. You. People join people. People buy from people they like over everyone else when possible. All these things you extract from the list above about yourself... is YOUR BRAND! Other things like your interests, the things that motivate you, whether or not you're a parent, what causes you stand for, your favorite sport and team... all give you more chances to connect and attract people to you. Because the people you'll attract are people who are like you! It's just like the real world. Who do you interact with people on a day to day basis? If you think about it you'll realize that it's the people who you share things in common with. If you've been pulling your hair out when prospecting on Facebook because you're not getting engagement, it's because people simply don't feel connected to you! This just became infinitely easier. Because when you know who you are, you automatically know more about your audience. Which means you probably already know many of their struggles. ALL the struggles you can think of! When you speak to your prospect's pain points, they'll feel like you're speaking directly to them. When they read your posts, they should say to themselves “me too”. That's when you've hooked them. The Video Below Will Go Into All the Details of Understanding Your Audience’s Needs! Remember when you were in high school, and it was Friday night. If you wanted to meet new friends and hangout with other kids, you had to find where the best party was that night. Social media is pretty much the same. The key to growing your network is to simply network. If you walk into a party, and you stand against the wall not talking to anybody, then you're probably not going to have as much fun, nor will you make new friends. However if you mingle around, have fun, and share who you are, you'll get yourself noticed and some new friends will find their way to you. Think about who you follow, and who makes you a bit envious by the engagement they get on their posts. Who in your niche has a big network and great engagement like this? These are the networks you'll want to tap into, and it's drop-dead-simple to do because they've already done all the work for you! 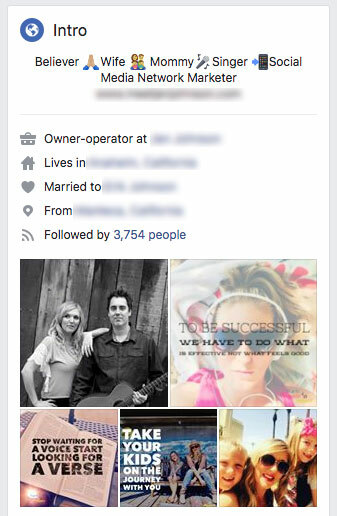 Find FB friends in your niche with high engagement... and find a post that's gotten a lot of likes. They'll get curious and want to know who followed them, and will then check you out. You following them is simply a nod to get their attention. A tiny tap on the shoulder they cannot ignore because us humans are nosy by nature! Facebook Fan Pages – You can use the same strategy above by finding targeted, niche specific Fan Pages and comb through likes and comments... and tap people on the shoulders. Find the people who are popular in your niche, Like their page, and engage. You'll get noticed. Facebook Suggestions – Facebook is quite intelligent and will always suggest friends for you who their algorithm sees as a good fit. These show up on your page all day long. 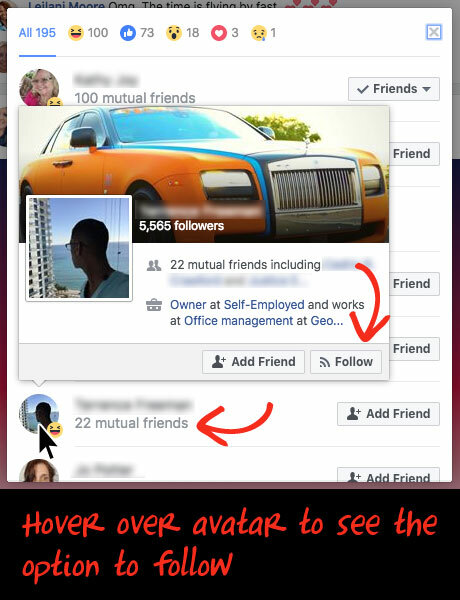 You're certainly not limited to your friends and followers for finding people on Facebook to attract. There's a FB group for nearly any niche you can think of. To attract your best prospects inside these groups, you just have to become highly valuable inside the group. #1 Create Valuable Posts – The easiest way to stand out is by giving value. Chances are your competition inside the group will be doing things wrong and spamming. By giving value you become the one that stands out. You'll draw prospects right to you! #2 Answer Questions – Many people come into a group not to post, but to get answers to their pressing problems. What do you think happens when you become the one answering not only their questions... but they see you consistently giving great answers to questions? YOU become extraordinarily attractive to them. #3 Help Support LIVE Broadcasters – If someone is doing a FB LIVE inside the group, you can help the viewers by dropping quotes of important points they make during their broadcast. This allows other viewers to get more out of it. And they’ll thank YOU for that. This helps you leverage the value the presenter is giving to the community, and become looked at as a leader yourself. Also, drop links that they mention during their LIVE. For instance if someone is talking about creating quote pictures in their live, and they mention the URL of a certain tool they use, drop the link for that tool inside the comment section. The bottom line is to become the trusted and helpful guide that people turn to when they're lost or unsure. This will create know, like, and trust before they even have the chance to send you a friend request! Now that you've gotten attention, and created interest with your profile (we'll get to that soon), you'll begin to get friend requests flying in to YOU from the people that you’ve followed. Of course the last thing you want to do is leave them sitting in limbo... waiting to be confirmed by you. Check and confirm your requests fast. This allows you to start interacting with your prospects immediately, while you're still fresh on their mind. As you do this consistently, you'll have prospects to talk to every single day. No more guessing who to talk to. And since you're attracting people who are like you, you'll rarely feel like you're talking to the wrong person. But all of this working effectively hinges on what we'll cover next. When people see that you've followed them, they'll get curious and click to check you out. This is where your profile should start convincing them that they've just found the right person. People have extremely short attention spans (less than 9 seconds) so your page needs to grab their attention fast. Your Cover Photo: Make this picture tell a story about who you are. Use an inspirational quote that signals your way of thinking. Use a great lifestyle picture that reveals your interests. SIDE NOTE: Don't be afraid to talk about your struggles here. Social Media maverick and MLSP leader Jen Johnson talks about her 12 years of struggle in the network marketing industry on her about me. This lets people see that you're human, and that you understand their struggles. Picture Collage: This is prime real estate on your profile page that gives people a glance at who you are. Create a collage that tells different stories about who you are and what you do. Your prospects will intrinsically create a story about you in their minds. Make it easy for them to add the elements of the story. Your POSTS: People will go to your page to learn more about you, and the thing they'll spend time on is your posts. You'll want to mix it up. If someone goes to your FB page and sees nothing but picture quotes and shared videos, it won't say anything about who YOU are. Give people value that YOU offer. Not shared images from Google or YouTube. Share things that reveal how you think. Your opinions. What you're learning. You need to exercise your voice! What you do when you're not working on your business. Show this so people have things to relate to. Talk about your struggles and how you overcame them. In our post on Facebook Challenges, we go over the ‘4 Part Story’ Ad to do exactly this! It'll work for this strategy as well! The more you put yourself out there, the more you will build your brand and attract people just like you. Post on purpose. Mix up your posts so each one is a an interesting new adventure in getting to know who you are! Is your profile picture inviting and friendly? Does your cover photo reveal something about you? What do your last 10 posts reveal about you? If it's not great that's okay. You now know what to do with your next 10 posts! Follow Up With the People Who Show Up! Have a natural conversation with the people who have just done you the honor of requesting your friendship. This is where you can throw out the cheesy scripts. The fact is that they've already looked you over, and they already like you. They already feel a connection. So talk to them like a friend. Just be YOU! You are enough already. Just be genuinely interested in them, and it becomes effortless. Tips to Make Prospecting On Facebook More Effective! It's important that you know the platform you're working with. Like anything, Facebook has it's own best practices that social media rock stars like Jen Johnson have figured out through research, testing, and trial and error. Knowing what canvas you’re painting on allows you to get more miles out of each post and engagement, and better leverage the power of a beast such as Facebook. Make sure that you have a beautiful smiling and happy Face that is easy to see, because people love to associate with happy people. It's FACEBOOK, people want to see your face. Don't put a picture where your face is too far away. Put an image that will reflect who you are, what you are all about, your personality, your brand, your core message, your slogan, your motto, your lifestyle, social proof. Some people have an image of the products they sell or the company they promote, please don't do it. They are showing the world that who they are is a representative of XYZ company. People instantly prejudge that and think that what you want to do is sell them your product. Nobody goes to Facebook specifically to opt-in to your list and buy your product. Don't try to sell on Facebook. The best way to sell on Facebook is to not sell on Facebook. Drive them back to your blog and your world. Yes you can occasionally post your link to a capture page where you provide more value, but don't do it in a blatant spammy way. Most people just pitch and throw the link out there. Instead share a story and share value and mention the link to your capture page as "by the way on the side note if you want to learn more"
This is basic but complete all the information about you, where you live, what you like etc. Again don't mention the name of the company on your profile anywhere. Like Jen mentioned above, this will give your prospects an immediate first glance at who you are and what you are about. People want to associate with positive people. If you are going through tough times and challenges, don't post it on Facebook and complain if you want to grow your business. If you want to attract a bunch of whiners and complainers and get no results you can do it... Be the disseminator of light and positive in the world! 7 Facebook Do's and Don'ts You Must Know! 1) Don't Send More Than 5 to 10 Friend Requests Per Day (No more than 10) - Sending more will hurt your visibility. 2) Interact With Your New Friends ASAP - This will cause them to interact with you in return. 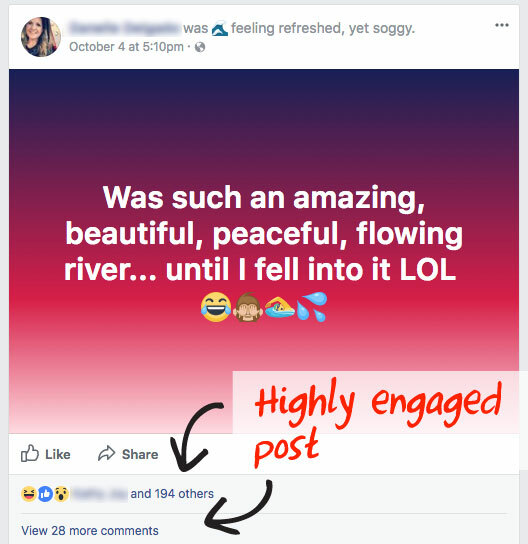 FB likes this engagement and interaction on their site. 4) Do NOT Post More Than 3 Times a Day - This used to be 3 to 5 times per day, but these days Facebook is rewarding people who space out their posts even more. 5) When a Post Gets High Engagement, Facebook Will Reward You On Your Next Post - It's the gold star system you learned in grade school. Use it to your advantage! 6) Do Not Add Links In Your Posts (Unless you're paying for it) - Facebook doesn't want people leaving their site. Makes sense right. You don't want people leaving your site either. If you want to add links, you can add them in the comment section on your posts. 7) Encourage the Actions You Want to See On Your Page - What you want is engagement! So the best way to encourage that is to reward it when it happens. Which simply means to engage back. Interact. Make people feel good for engaging with you, and they will do it more often. The Video Below Will Explain These Facebook Tips & Updates and More! I want you to start looking at your Facebook profile as your own reality show. What is a story line? It's a motive, a theme of what you post that is similar in nature, and what gets people to respond passionately about. Once you figure out your story lines, you will no longer have to guess what to post on Facebook. You are just going to choose from a story line. People are attracted to lifestyle in this industry. People want to see that you are living your dream, that you are having fun. If you post a picture of how you are having fun with the kids in the park in the middle of Monday afternoon where most people are working at jobs they hate, and share a story how it's possible because of your home business, people love to hear that and they will wonder how they can too do that. Post a picture with a story of how you went on a vacation that you paid off with the money you earned at home and how much fun you had. Share pictures from your trip and traveling. Share pictures how you are living your life! It can be so many different things but it's all about your lifestyle! People love to get inspired and motivated to do something in their life. You can take an image of the quote you find or make a new quote image and then comment with your own thoughts on it. Get inspired yourself, share a concept or idea and get people to think. Ask them questions and engage with them. Ask for feedback and their thoughts often. You can share your unique philosophy, your beliefs, your attitude, a story that makes a point, something personal to inspire people. People want to see you are human and real just like them. Share cool stuff about your interests and your hobbies. Share what you are passionate about. Share how you are playing football or table tennis or go to the gym or love drawing or running every morning. Share how are you having fun with the family. Share pictures with the kids. Share something from your every day life. Always when you are posting images on Facebook give a couple of sentences to describe what you are experiencing and feeling and your commentaries. Don't just throw and image out there and go. Post on purpose! That's a huge one. You have to start leveraging more the wins you have, the successes you have and the results you have. If you will not share, how will people know? Social proof comes in so many different forms. It doesn't have to be about how much money you made. There are million different other ways to show social proof. This is a huge one. There is nothing that creates trust faster with people who don't know you like watching you on video. When you are able to be yourself, be vulnerable, be honest and look directly at the camera and open up your heart, share your message, share who you are - everything changes. Video will get easier with practice like everything. I challenge you to do 5 videos a week or more. They don't need to be long videos, just hit the record button on your camera or smartphone and talk for 3 minutes, how hard is that? Videos show you to the world. They allow people to catch up on all of the 90% of nonverbal communication, to feel who you truly are. There are so many things you can do with video. All of these story lines you can share on video. GIVE VALUE, that's a huge point. Whatever you are posting think about if it will make someone's day better or uplift somehow and provide value in some way? How do you share your blog posts on Facebook? What people do a lot of the times is they just throw a link to a blog post with a featured image and prey people will come to visit it. There is just an image, a title and a couple of words that represent the first sentences of the blog post. You can get so much better results if you BRIDGE your Facebook post to your blog post by sharing a mini post or telling a story on Facebook. You can take a unique angle, an excerpt from that blog and share a story around it, share value and a concept and at the end of your post you can include a link to your blog post! You can take inspirational quotes and tie it into your blog, you can take pictures of yourself or some kind of result and tie it somehow to your blog post at the end. Now with MLSP Sites you all have your very own blogging platform to build your unique brand and share your voice and value with the world. If you don't have a blog yet, MLSP Sites is a perfect solution and quite frankly you need a blog if you want to build a long term successful online business. Your blog is your home online that you will invite people over and over again to read your story, get value from you and become your subscriber. If you have a blog, one of your jobs is to get people back from Facebook and all other social media back to your blog. What you've just learned is a common sense approach to attract people to you, and make them want to engage with you. This of course leads to you building the critical rapport (know, like, and trust) that makes people ready to buy your products, use your services, or join your business! Get out there and put this blog post to the test. Use the comment section below for questions or success stories. ACKNOWLEDGEMENT: We want to acknowledge and honor our friend and rockstar marketer Jen Johnson for providing the video trainings above so that we could serve YOU, our beloved audience. Congrats to Jen on all of her success thus far… and we are just getting started! Did you enjoy this ‘Facebook & Social Media Prospecting’ blog post? What was your biggest takeaways? Have you tested any of the action steps out in your own business? We’d love to hear any results, ideas, or comments you have on our ‘Facebook Prospecting’ training above! Yes very much liked. Extremely helpful. Nice Article! very informative. For marketers unsure of how to engage businesses via Facebook, just know it can be easy to identify the right prospects — thanks to Facebook’s new(ish) search functionality, Graph Search. I have used a tool ‘AeroLeads’ to attract prospects and turn them into leads and it really boost my business. very helpful information i am definitely put it into practice. i truly believe is going to make a major different in the way i interact with my followers from now on….. thank you guys GOD BLESS YOU.